The country is returning to the global borrowing market. Ukraine has asked Paribas, Goldman Sachs, and JP Morgan to prepare the issue of Eurobonds, sources have told Reuters. 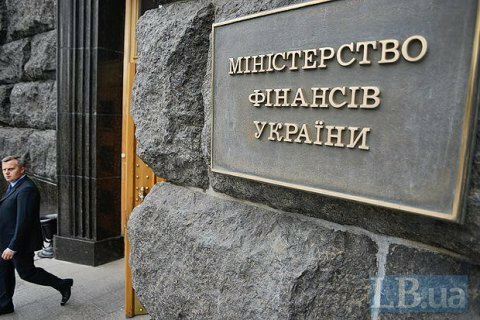 In April, Finance Minister Oleksandr Danylyuk said that Ukraine was going to return to the international bond market in the autumn after long-term pension reform is adopted. He said he hoped Ukraine would raise 1m dollars by issuing bonds. Ukraine last floated Eurobonds in April 2013, when it sold 10-year Eurobonds worth 1.25bn dollars at 7.5 per cent per annum. In February 2013, the Ministry of Finance placed 10-year Eurobonds worth 1bn dollars at 7.625 per cent per annum. Since that time, Ukraine has four more times entered foreign borrowing markets: in December 2013, Eurobonds worth 3bn dollars with a coupon rate of 5 per cent were sold to Russia. In 2014–16, Ukraine sold annually Eurobonds under American guarantees. In 2014, the country floated five-year Eurobonds worth 1bn dollars at 1.844 per cent per annum, in 2015 – 1bn dollars at 1.847 per cent per annum, in 2016 – 1bn dollars at 1.471 per cent. In late January, the Ukrainian company Kernel placed Eurobonds worth 500m dollars at the annual rate of 8.75 per cent, becoming the first Ukrainian issuer to place bonds since the Revolution of Dignity (except for bonds guaranteed by the US government in the framework of financial assistance to Ukraine).